It's also worth noting that you can explore the wartime history of Loch Ewe at the Russian Arctic Convoy Exhibition in Aultbea. 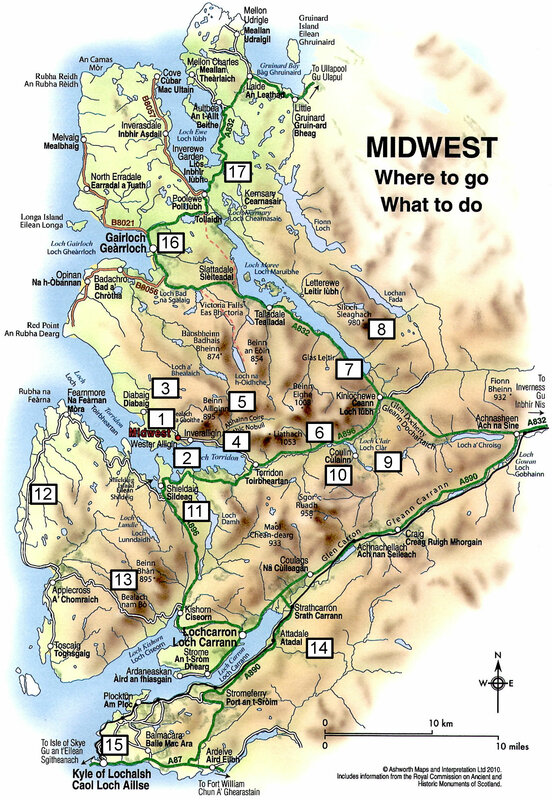 A circular walk which starts from Midwest gives a good introduction to the immediate area providing wonderful views in all directions. From the cottage walk up the hill and back towards Torridon village. After crossing the cattle grid turn down into Inveralligin and at the bottom of the hill head east through the village. At the end of the tarmac road continue on the coastal path for about half a mile. 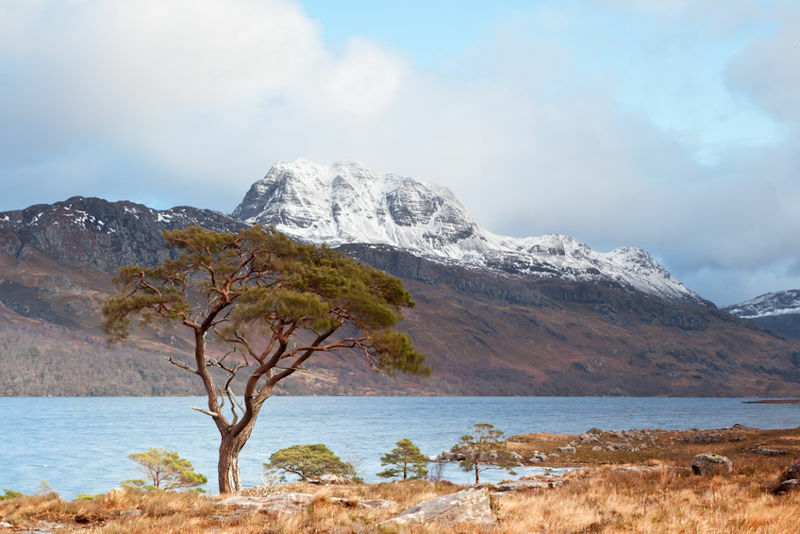 This public footpath reaches the cottages of the Torridon House estate and passes through woodland near Torridon House. The path becomes a tarmac roadway again and eventually meets the public road from Torridon. Turn sharp left up the hill and follow the road past the Coire car park and back on the high road to Wester Alligin and Midwest. Alternatively, park your car near the cattle grid or in Inveralligin itself, and then start your walk. 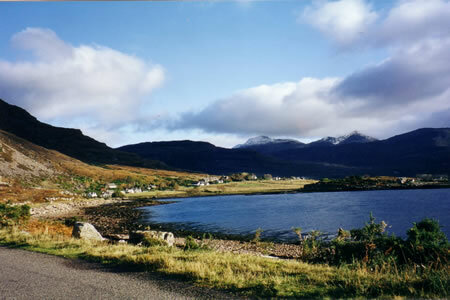 The fishing village of Diabaig can be reached by a footpath over the hills which starts from behind the last cottage above the beach at Wester Alligin. The Coire Car Park is the start of a path which follows the Coire Mhic Nobuil river between Beinn Alligin and Liathach and eventually reaches the Coire Dubh Mor and the car park in Glen Torridon. Beinn Alligin (the mountain behind Midwest Cottage) is best climbed from the footpath leading off the Coire Mhic Nobuil. Liathach towers above the village of Torridon. Experienced climbers wishing to tackle this formidable mountain often start from a path near a small parking area just east of Glen Cottage in Glen Torridon. 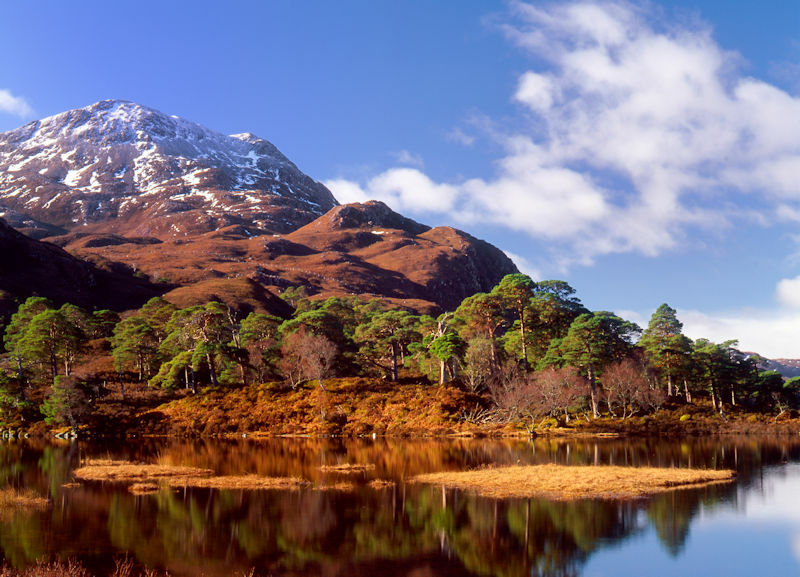 Beinn Eighe - there are 2 well defined trails starting from the car park of Loch Maree side. The first follows a mile long route through lower woodland while the second mountain trail, 4 miles long, climbs up above the tree line. Slioch is usually climbed starting from Incheril near Kinlochewe. Superb views over Loch Maree. 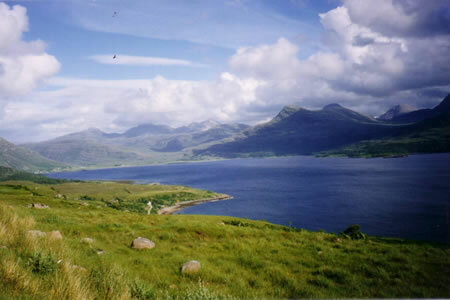 There is a circular walk around the Coulin Estate and Loch Clair giving superb views back to Liathach and Beinn Eighe. Coire Nan Ceud Bheinn (Coire of the Hundred Hills) is the starting point of a long walk south across the mountains to Achnashellach. Attadale Gardens are open daily from Easter to late October. Ranging from water gardens and woodland to little bridges and hidden sculptures, this Victorian garden with magnificent rhododendrons is now owned by Nicky and Ewen Macpherson. 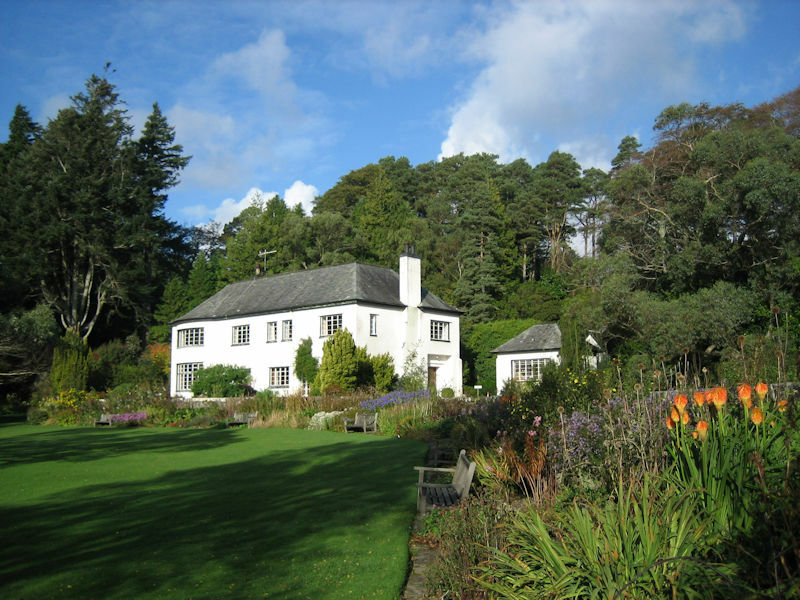 Just north of Poolewe, Sir Osgood Mackenzie created Inverewe Gardens in 1862. Now in the care of the National Trust for Scotland, these 50-acre gardens are open daily all year round with a visitor centre and cafe. Explore over 2,500 species of plants and trees, many of which flourish thanks to the Gulf Stream effect. Inverewe House is also now open to the public with a hands on museum and also an exhibition gallery. The Applecross peninsula has fine sandy beaches and superb views over to the islands of Raasay and Rona and over to Skye. 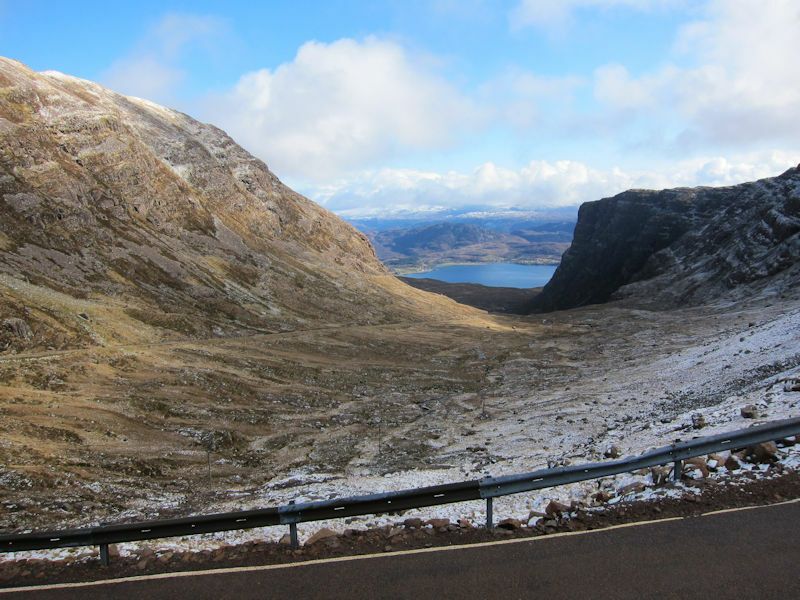 It can be reached via the coastal road or the famous Bealach na Ba (Pass of the Cattle) which rises	2053ft above sea level to give awe-inspiring views back down to Loch Kishorn, Plockton and Loch Carron. 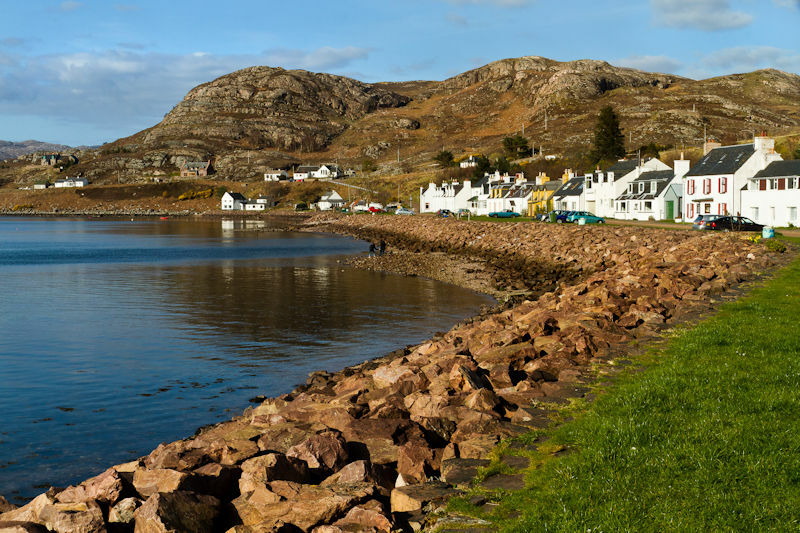 The village of Applecross has an award-winning Inn specialising in local seafood, a photography gallery, smokehouse, walled garden with cafe, as well as a small church and heritage centre. Known as Scotland's Route 66, the North Coast 500 stretches from the east coast over to Wester Ross and then continues up through Caithness and Sutherland. 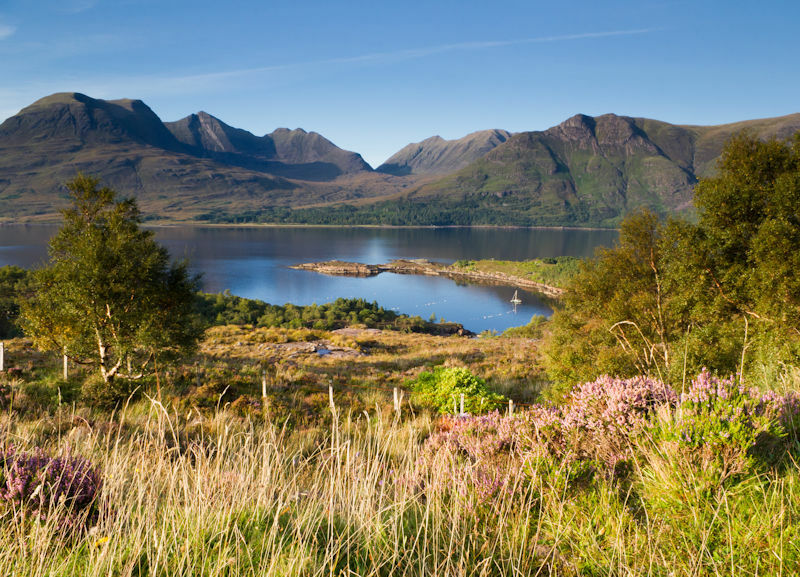 This 500-mile loop offers a fantastic drive from Inverness through Achnasheen and Strathcarron, over to Applecross and up the west coast via Shieldaig, Torridon, Gairloch, Poolewe and onto Ullapool, before heading further north. As well as enjoying atmospheric scenery and historic sites, you can sample fresh seafood and other local Highland produce. 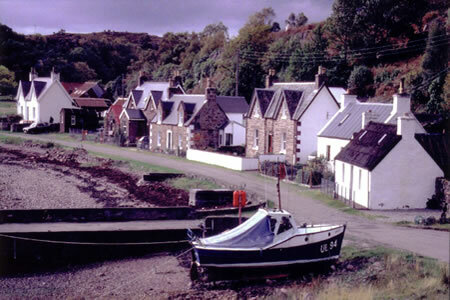 There are also plenty of craft shops, galleries and artisans who have found inspiration in this part of the Highlands.